Detained Photojournalist Mahmoud Abou Zaid, also known as Shawkan, has been selected as the laureate of the 2018 UNESCO/Guillermo Cano Press Freedom Prize. The Foreign Ministry’s Spokesperson Ahmed Abou Zaid said in a statement that the UNESCO is involved in awarding a defendant accused of vandalism attempted murder, further warning against ‘politicization’ of the organization. 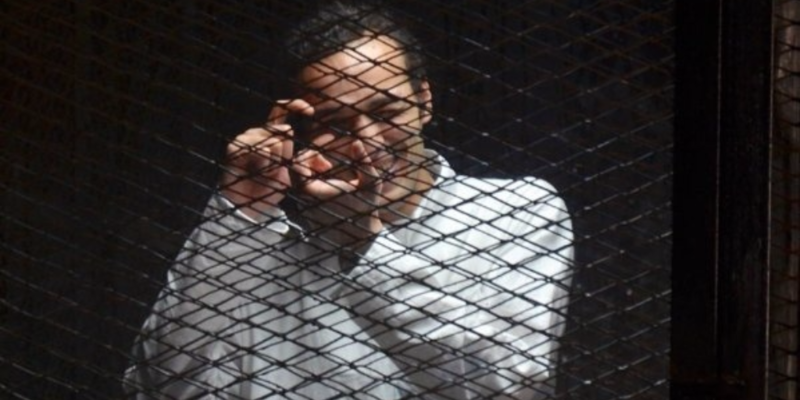 Shawkan has been jailed since the dispersal of the Rabaa sit-in in August 2013. The international organization of “Demotix” sent an official letter to the Egyptian authorities confirming that the photojournalist was covering the dispersal and not participating in it; however, Shawkan remains in prison and is currently being tried with hundreds of Muslim Brotherhood members. Additionally, he might receive a death sentence. Abou Zaid continued that Egypt has assigned its permanent representative to the UN to file an entire document that includes all the criminal history of Shawkan, stressing that the accusations directed against the photojournalist are not because of a political stance or because of his work in journalism, but rather criminal. He concluded his statement saying that awarding Shawkan with the prize means marginalizing the state of law in Egypt. Conversely, Head of the Photojournalism Department in the Press Syndicate Amr Nabil released a statement saying that the department fully supports Shawkan adding that there are sufficient proofs that Shawkan was in Rabaa at the time of the dispersal only for journalistic reasons. The imprisonment of Shawkan has caused international backlash from Committee to Protect Journalists (CPJ) and other organizations that repeatedly called on the Egyptian authorities to release him.